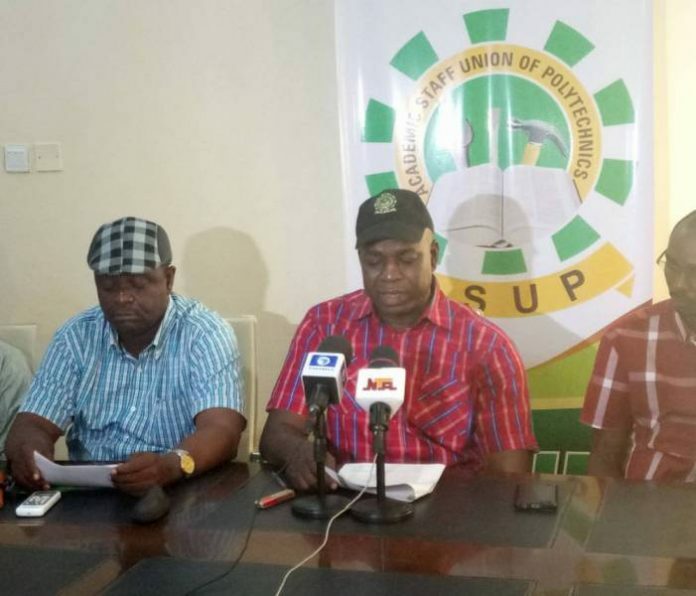 EDUCATION NEWS – Fresh news report as the Academic Staff Union of Polytechnics (ASUP), has on Wednesday announced the suspension of its 15 day-old strike it embarked on Nov. 19. It is gathered that the President of ASUP, Usman Dutse, made the announcement in Bauchi during a press conference held at the Abubakar Tatari Ali Polytechnic, Bauchi. Dutse is currently in Bauchi to head the 14th National Delegates Conference co-hosted by the Federal Polytechnic, Bauchi and the Tatari Ali Polytechnic, Bauchi. He said that the decision to suspend the strike was because of the consideration of impact of the strike on the society, parents and students as well as pleas by well-meaning Nigerians. Dutse recalled that members of the union had on Nov.13, withdrew their services following directive by the National Executive Council (NEC) of the union to embark on an indefinite strike. He enumerated non- implementation of the report of the NEEDS Assessment survey of polytechnics, sustained shortfall in personnel cost, withdrawal of their allowances since December, 2015 and non-payment of promotion arrears as some of the reasons for embarking on the strike. He said that ASUP had engaged in series of meetings with the federal government which culminated into an agreement signed between the it and the union. The president said the suspension was to give government an opportunity to implement resolutions agreed upon by the two bodies.